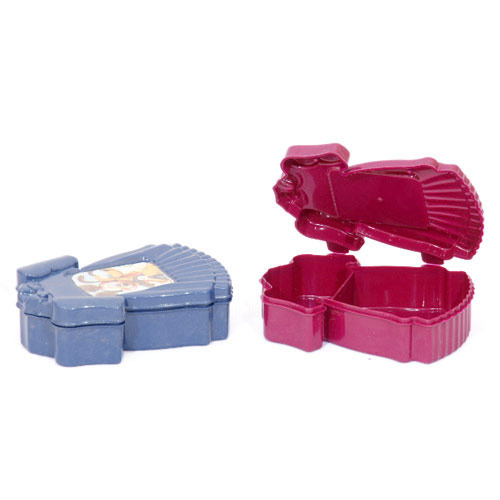 We are counted among the most distinguished organizations engaged in manufacturing and supplying Plastic Lunch Box. These insulated lunch boxes are manufactured by using qualitative material and employing modern machines. In addition to this, our experts also monitor every stage of production, with an aim to manufacture flawless range of products. In order to meet the diverse need of the customers, all these lunch boxes are available in various sizes, shapes, colors, designs and in custom-built range as well. Ever since our established back in the year 2007, we,“Aman Plastic”, are among the prestigious organization engaged in manufacturing and supplying quality range of Plastic Tub, Plastic Bucket, Plastic Mug, Plastic Ghamella, Plastic Box, Plastic Basket and Plastic Stool. All these plastic products are manufactured in compliance with international quality standards and guidelines. In order to manufacture qualitative products, our experts use latest machines and optimum material obtained from the reputed vendors of the market. These products are available in various colors, designs, sizes and in customized range as well, so as to meet the diverse need of the customers. Owing to their attributes like owing to their features like longer life span, seamless finish, easy maintenance and light weight, these products have made a distinct place in the market.